We have often heard that happiness lies in small things. To realise this, you just need, for once, to move your eyes away from your smartphone and take a look around. Lying, for example, on a green meadow, just turn your gaze and pause to admire an ant patiently carrying a crumb; or a blade of grass moving in the afternoon breeze; or a butterfly flying and then resting on a branch. But not only when you are surrounded by nature - the greatness of small things can be found everywhere around us, even in the city! Making eye contact with a friendly-looking stranger on a bus, greeting the new day with a smile, enjoying an energising coffee every morning, going to work by bike with the wind ruffling your hair, listening to a song and going back with your mind to fond memories. Yes, it really is true: happiness lies in small things. And very often small things are also home to wonder and amazement. The same enchantment you feel when you smell an unexpected scent given off by a tiny flower. 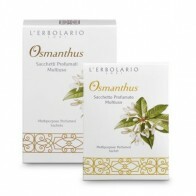 Osmanthus fragrans, the very name embodies the virtue of this little flower: an intense scent, a fragrance that seems to come from nowhere, incredible and unexpected precisely because given off by a small flower. 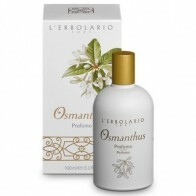 "Osmanthus, unlike other flowers with an excessively delicate or intense bouquet, has an air-freshening fragrance so intense that it can be spread for miles. "It is hard to believe that this flower comes from nature and not from the Moon or Heaven" said Chinese poet Yang Wanli. In folk tales, in fact, these delicate little flowers were precisely related to the Moon. 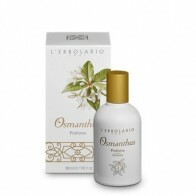 According to one of these legends, the Osmanthus flower grew in the lunar heaven. 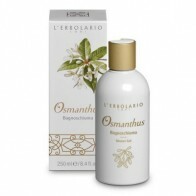 One day a goddess who lived there became aware of the many torments that humans had to face every day and, to soothe their pains, decided to spread the seeds of the Osmanthus flower on the world. 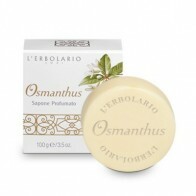 It was then that the distillate of these flowers helped people to alleviate their sufferings. 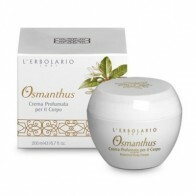 Even today, Osmanthus is inextricably linked to the Moon: it is precisely during the Moon Festival, every autumn in China, that this flower is presented to young brides as a wish for fertility and family happiness. 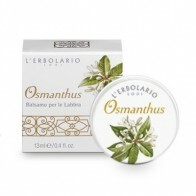 Thus, from Osmanthus, and particularly from the flower absolute and leaf extract, L'Erbolario has created a new, delicious and very scented line: Osmanthus.